My favorite pizza condiments add savory, salty, zesty and fiery flavor to an otherwise plain pizza. What would YOU add? 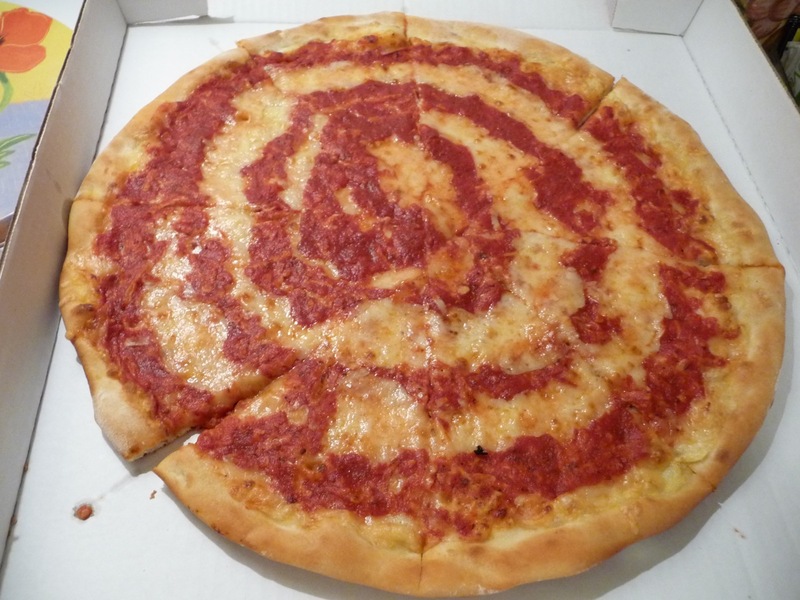 For anyone local, that is a Grotto pizza. They put the cheese on first, then ladle the sauce on top. Oh yes! 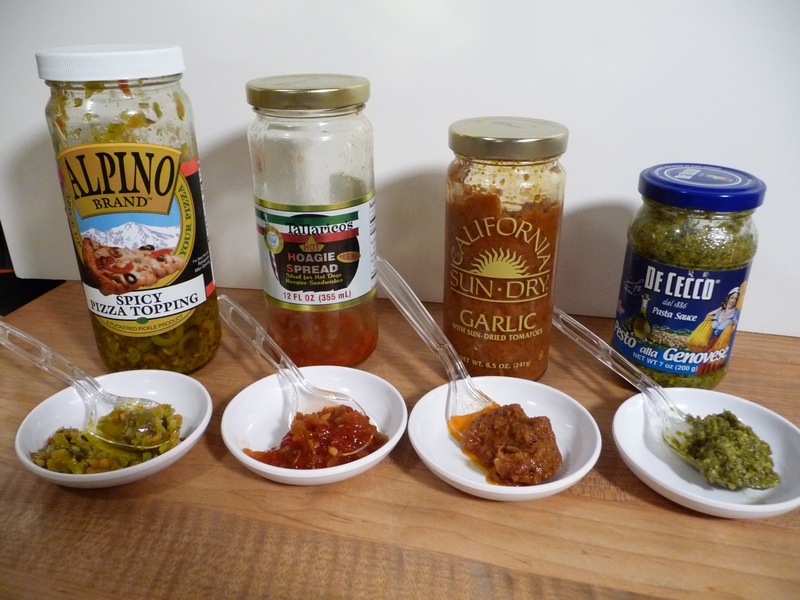 Left to Right: Alpino Spicy Pizza topping, Tallarico’s Hoagie Spread, California Sun-Dried Tomatoes with Garlic, and DeCecco Basil Pesto. 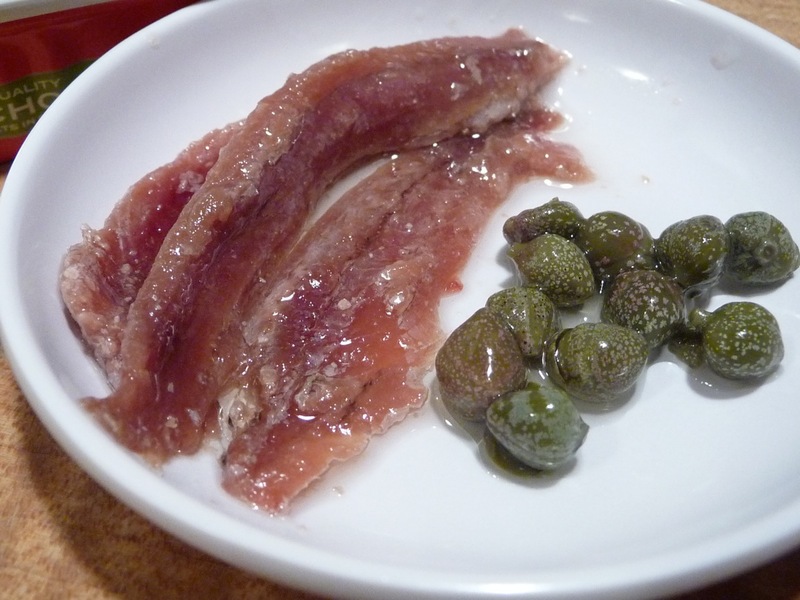 The KING of toppings… anchovies! 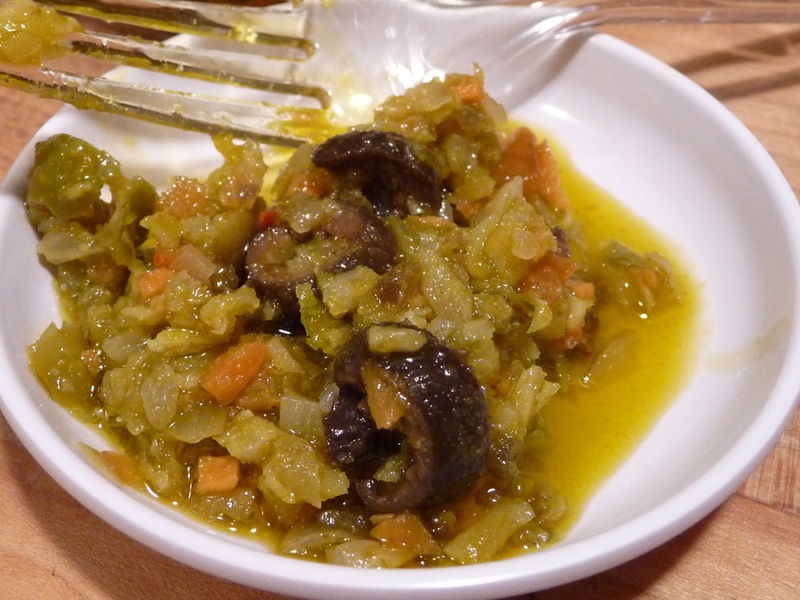 Only made better with capers. 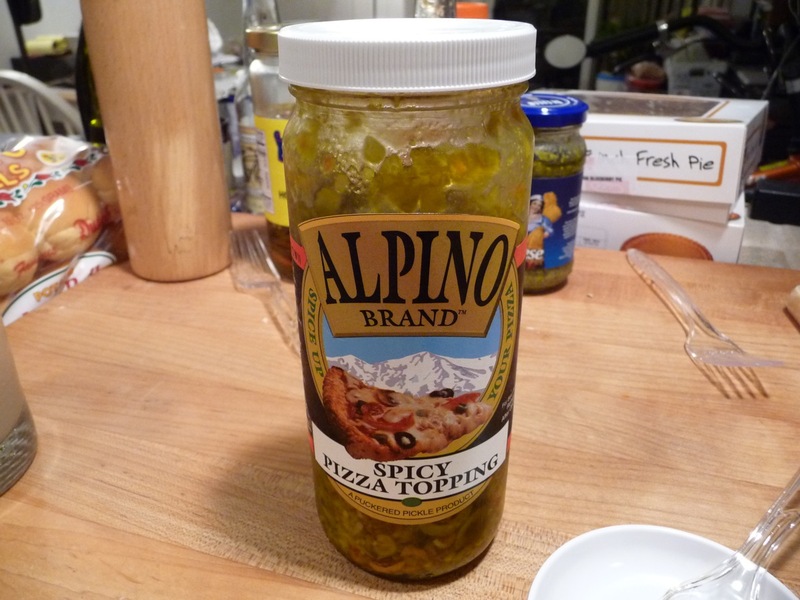 I first found Alpino brand Spicy Pizza Topping when I was researching Chicago Dogs. I was looking for a source for authentic poppy seed buns, and found this topping along with the buns. 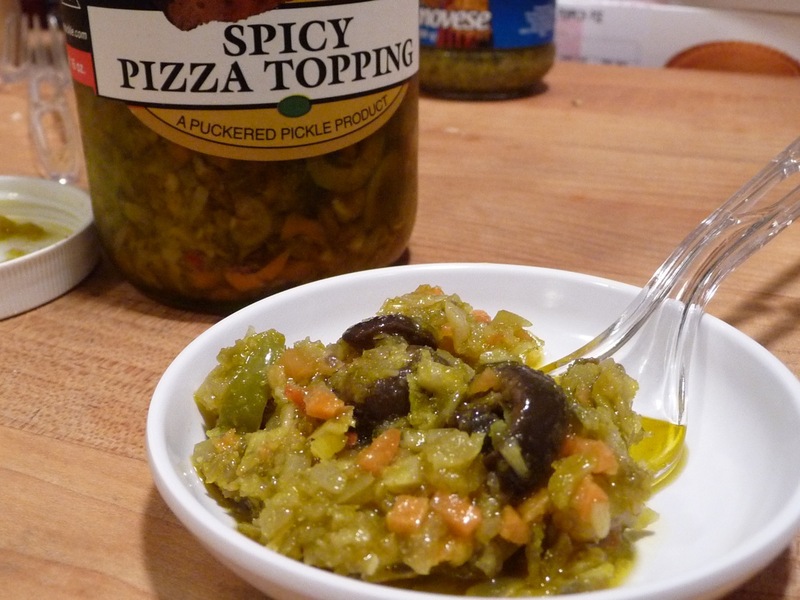 The Alpino Brand of spicy Pizza Topping is a product of The Puckered Pickle Company. Apologies in advance, as they have a crappy website. What are YOUR favorite condiments on pizza? Veggies? Sauces? Other cheeses? We are all over the place with our toppings. For heat I just love hot sauce on my pizza to compliment everything else. The snappiness of the vinegar and the mouth burn really compliment the toppings and red sauce. We’ll generally do a “theme” pizza – e.g. “the meat-a-tarian” or the “veggie delight” or the “whatever the hell we feel like” pizza. Staples are sun-dried tomatos, sauteed red onion/garlic, and roasted bell peppers. We also do fresh sausage, peperoni, shredded asiago or aged gouda, chopped up figs (this is a new favorite) and roasted garlic. I absolutely love pizza, but as I age I find the delivery or take-out places tend to be less, uh, digestible for me. I never have that issue with home-made pizzas though, so we’ll keep on keeping on with that for a while. I’ll have to send in some photos of our creations. We’re lucky to live right next to a pizza joint that sells 2 medium dough balls for $3. Three dollars! And it’s a really good crust. I’ve experimented with those dough balls many times. Most recently on the grill. And other than the items listed in this post, we are all over the map too with toppings. My all time fav is still a hot sauce. Always. Maybe next time we’ll try LDHS on pizza. Oops! Already did! Thanks Scott! My favorite condiment is Punk’s Gourmet Pepper Sauce, go figure. But bacon runs a close second! I agree with the hot sauce on pizza, I guess you know which is my favorite. Gotta have the pepperoni and Italian sausage. I don’t do a lot of toppings. I’ll do the hot sauce stuff and garlic butter. That topping you have looks chunky good. I only fool with garlic butter if I have one of those tubs of it from the delivery pizza joint. Thanks for all the responses so far. Funny how hot sauce is the #1 choice for this bunch! Gotta put Tom’s Roid-Rippin’ Hot Sauce’s Hot Cherry Pepper & Roasted Garlic on your pizza…it was made for pizza!!! My mouth is watering just thinking about it! Try it, you’ll like it! Absolutely Diane! One of our favorite sauces from you guys! Wow! That’s all are really yummy selection. Punk’s Gourmet Pepper Sauce is my favorite condiment. What do you think about it?